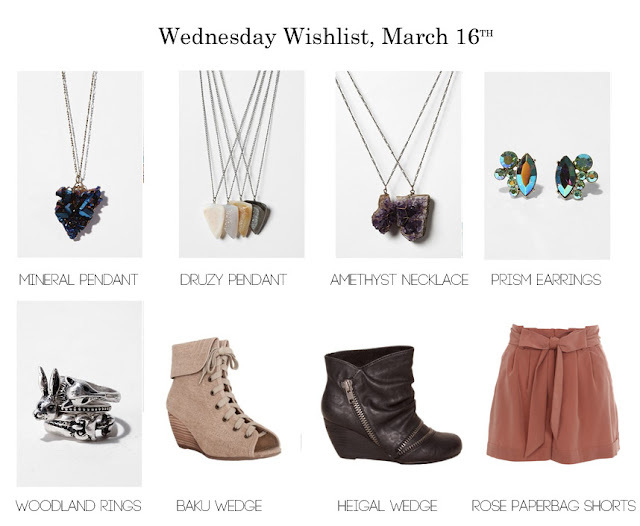 Tulle & Combat Boots: wednesday wishlist! 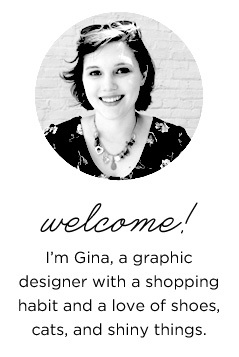 I really love all the geode necklaces—I want to collect and wear them all! I'd probably look like the mineral collection at the Smithsonian Natural History Museum, but what can I say, I like shiny things. Also, I don't own a single pair of wedges, and I'm not really sure which style would be best for me. These two pairs from Blowfish are just awesome though. And I always needwant more earrings & rings! And shorts for the upcoming season change! What are your favorite finds for the week? Those woodland rings are incredibly awesome! come by and maybe follow back!